DENVER—Growing increasingly unsettled at the president-elect’s choice of advisors and the prospect of life under a Donald Trump administration, local resident Paul Austin told reporters Monday he was at the point where the thought of Reince Priebus controlling the White House was actually fairly comforting. 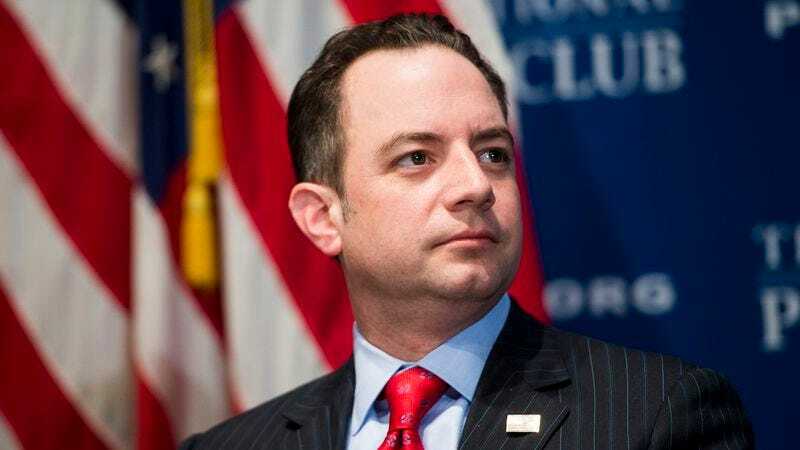 “The way everything else seems to be going with Trump’s transition, it feels like we’re in a place where having someone like Reince Priebus in charge is almost kind of reassuring,” said Austin, who acknowledged that he emphatically disagreed with Priebus on nearly every issue, but at least was not abjectly horrified by the idea of the RNC chairman being placed in charge of key decisions as White House chief of staff. “I know there’s a lot to dislike about Priebus, but at the moment, it’s honestly kind of nice knowing there’s at least one person in this administration who’s worked in government before, isn’t vocally racist, doesn’t run an anti-Semitic website, and has never been in the news for beating women. Jesus, compared to the people around him, he almost seems somewhat admirable right now.” Austin added that he was, thankfully, not yet at the point where the possibility of Rudy Giuliani being named the next attorney general was anything less than physically sickening.